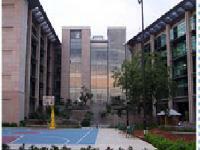 Looking for a property in Shadnagar? Have a property in Shadnagar? Shadnagar is the special development zone of Hyderabad. Aviation capital of India lot of developments are going in and around Shadnagar. National Remote Sensing Centre, Amusement Park, Zoo park, Film studio all are near. Near to NH 7 and NH 44, Railway zone and international airport near by. Shadnagar now is recognized as “Satellite City”. Heaven Hills is a Gated community and is a pretty good place to reside or the best place to invest for the people searching for the inventing with all the amenities according to DTCP and on the norms of HMDA. Shadnagar is a future city, because many Govt projects have been established in Shadnagar surroundings. Industrial Zone and Pharma SEZ also established near Shadnagar. Many townships are under construction. In 4-5 years Shadnagar is going to be a big city. International Hospital and International Universities are also coming to Shadnagar. 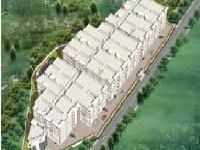 This is the best place investment wise near Hyderabad. Shadnagar is one of the town which going to be next it spot.and its surrounded with greenery and it only 30 km from Rajiv Gandhi international airport Shamshabad and this area is a free zone and pollution free residential zone. Shadnagar is now a Municipality Zone. Hyderabad-Karnataka region gets special status. Gulbarga, Yadgir, Raichur, Bidar, Koppal and Bellary will benefit from the Special status. Shamshabad-Shadnagar is the Aviation zone of Hyderabad. Metro facility is not there to Shadnagar. In 4-5 years Shadnagar is going to be a big city. International Hospital and International Universities are also coming to Shadnagar. Already Shadnagar has been converted to Municipality Corporation. 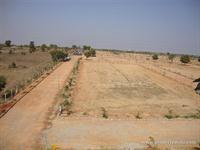 This is the best place investment wise near Hyderabad. Shadnagar is the only location which has got every governmental and non-governmental developed and upcoming development projects in and around. Eg: International Airport and Aviation Academy, SEZs, IT Software and Hardware Hub, Amusement Park, World Class Universities, and many more. International Airport and Aviation Academy. Shadnagar offers low cost in a fast growing area. Just right opposite to National Remote Sensing Centre NRSC. Only 600 meters to NH-7 Express-Highway International Airport. Close to Shadnagar Municipality, Shadnagar MMTS Railway Station, Prop. Amusement park at Shadnagar, Peripheral Ring Road, DLF Township 9, Engineering colleges in and around Shadnagar, Chinajeeyar Vedic University, Procter & Gamble Health Care Division, Hardware & Software Park, Animatiom Studio, TATA University of Social Sciences, Govt. Townships, Textile Park, DTCP Layout etc. Shadnagar has emerged as a new residential and commercial capital of this most happening city with world's best infrastructure development coming up in and around its surroundings. Besides this, it has connectivity through the 300' wide 8-tracks NH-7 Hyderabad - Bangalore Bypass High-way and the single direct road connectivity to the Outer Ring Road(ORR) and the Rajiv Gandhi International Airport. Now 360 km Peripheral Road is also under construction (Connecting all the high ways from Mumbai Highway to Viajyawada Highway). In fact! Shadnagar is now emerging as a hub for the major players in the area of Constructions, Hospitality, Gems & Jewellery, Information and communication technology and education to name a few, creating a great demand for the properties in around its surroundings making the land values unaffordable day by day. At this point of time one can afford to buy a piece of property and tomorrow undoubtedly the prices could be beyond one's reach. All these factors make shadnagar veritable realty goldmine of today and tomorrow. Shadnagar, Hyderabad is rated 7 out of 10 based on 19 user reviews. Have a good knowledge of Shadnagar? Share it and become a Locality expert. Shatbhdhi Suraksha Gold is a gated community developed by Shatabhdhi Infratech to give you the best plots in Hyderabad. DRR Aims Anandah Nilayam is one of the best option for investment point of view, offering 900-90000 sq ft plot & located at Shadnagar, Hyderabad. 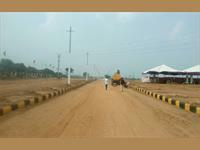 Kirthana Lotus Gardens offers HMDA approved residential plots in various sizes - 240, 267 & 794 sq. yd. The project holds necessary facilities and better connectivity to the residents. P S Revolution County 1 is gated community premium residential plot at Shadnagar NH 7, Hyderabad with all aspect amenities and features. Heritage Valley-One of the towns on the Southern side of the city and on the NH-7. 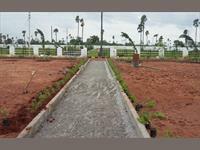 Near Shadnagar Good Investment Perpus Open Plots Sales Newly Started At Bheemaram. H.M.D.A. 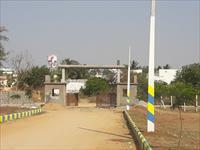 PREMIUM RESIDENTIAL PLOTS on KOTHUR-SHADNAGAR ROAD, 200 ft Road Facing SPOT REGISTRATION. 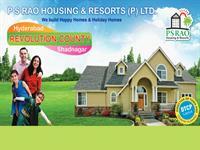 Plot location very good, prime, main road of SHADNAGAR. Towards NRSA. DTCP Layout – 800 acres- Proximity with NH44, NRSC, out coming RRR and Ramalingeswara Swamy temple.